You get “The Drive Where Windows is Installed is Locked” error message in Windows 10 while logging in to Windows. If you received the same message, then you are probably locked out of your Windows 10 operating system. This error might not be very common, but many Windows 10 users face this issue worldwide. As I said, you do not get access to your operating system, so fixing The Drive Where Windows is Installed is Locked issue in Windows 10 gets a bit tricky. But worry not; this tutorial will guide you to fix The Drive Where Windows is Installed is Locked issue easily. You do not have to be a computer genius, but you might need an additional computer, a USB flash drive, or Windows 10 installation CD. Here is the error screen that you must be getting while facing this issue. 1) The malfunction of Windows Bitlocker boot agent. 2) Damaged BCD file (Boot Configuration Data file). 3) Malware or 3rd party software corrupting the System Files. 4) Any internal hardware failure. Whatever the case be, we are going to discuss some methods that are sureshot solutions to this issue in Windows 10. How To Fix The Drive Where Windows is Installed is Locked Issue? Important Note: These methods will require you to have a Windows 10 installation media handy. If you have a Windows 10 installation CD that will do the job. But if you do not have that, you will have to get Windows 10 installation file and burn it on a bootable USB Drive. For this, first, you will have to convert a normal USB to a bootable USB using a software. Then, you will have to burn Windows 10 operating system on that bootable USB drive. These guides to turn a USB into bootable USB and to Burn Windows 10 to bootable USB will help you do so in easily understandable steps. This is an important step that will apply to almost all the methods discussed below. When you start a PC, it is designed to load the default Operating System automatically, which would be Windows 10 in your case. But, as your PC is showing the The Drive Where Windows is Installed is Locked issue, you need to boot from CD or from Bootable USB Device with Windows 10. Insert CD or USB Drive before startup. Most of the tutorials simply miss this step, leaving readers confused about how to boot from CD or USB drive. It’s pretty simple. As soon you start your PC, you will see a screen like this (below) with a couple of options at the very bottom. Press the button that it says to enter Boot Options. 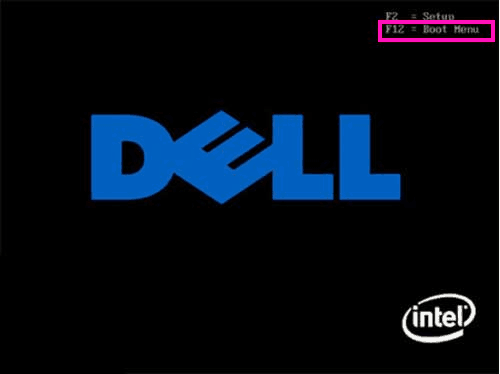 In this case and for almost all of the computers, F12 is the key to enter Boot Options. As you press the F12 button, a box will open. From there, you can select from various boot options, that are, Hard Drive, USB, CD, etc. Select the USB or CD options depending on the boot media you have. Then, press Enter to boot. Now, let us check out the methods you should try. 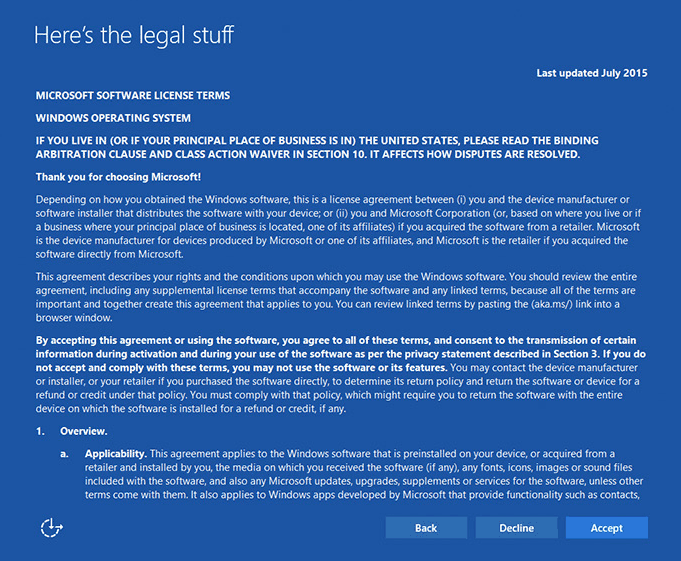 Step 2: Boot from your Windows 10 installation media, as mentioned in Important Step above. 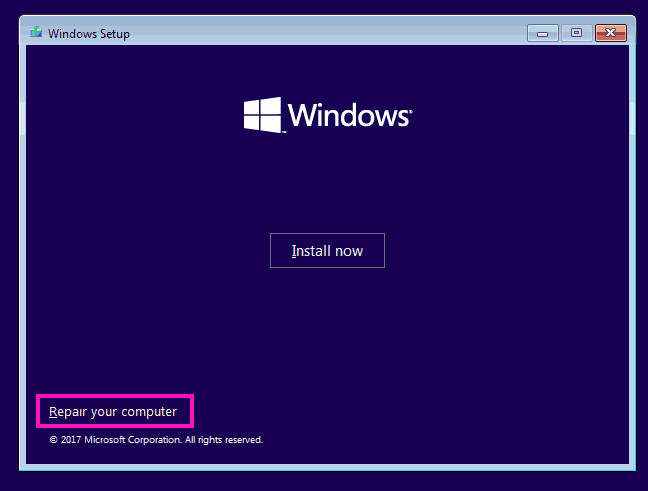 Step 3: You will land on the Windows Setup window. From the first screen, select your preferred language, time, and keyboard input method. Click Next. Step 4: From the second screen, press the Repair your computer option. Step 5: Click on Troubleshoot option. Step 6: Now, from the options, click Refresh your PC option. Do not click on Reset your PC, or all of your files and software will be erased from PC. Step 7: Now, follow the steps of Wizard Instructions to complete Refresh. After the Refresh is complete, see if your PC starts normally. If you still get The Drive Where Windows is Installed is Locked error, try Method 2. Step 1: Reboot your computer. Step 2: Boot from the Windows 10 installation media, according to instructions given in Important Step section above. Step 3: Set language, time, and keyboard method from the first Windows Setup screen that appears, Then, click Next. Step 4: Click on Reapir your computer option from the next screen. Step 6: Now, click on the Advanced options. Steps 7: From the Advanced options menu, click on Command Prompt option. This will open the Command Prompt window, i.e. CMD window. 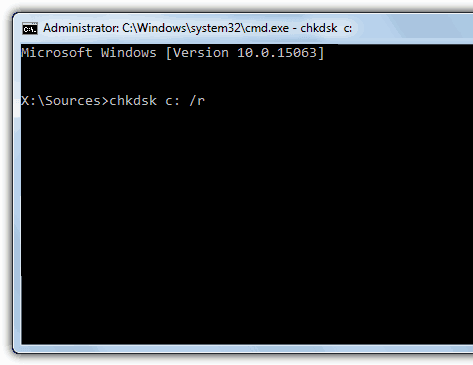 Step 8: On the CMD screen, type: “chkdsk c: /r“, then press Enter. Here in this command, letter c represents the drive in which Windows 10 is installed on your PC. So, if your Windows is installed in any other drive, say D drive, then use D instead of C, and tye the following command: “chkdsk d: /r“. Step 9: Wait for CHKDSK to complete the check. When done, close Command Prompt window. 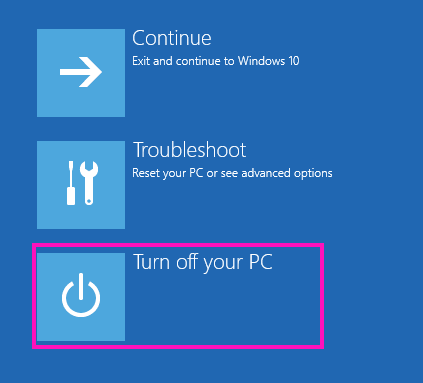 Step 10: Select the Turn off your PC option. When done, turn off your PC normally, and see if The Drive Where Windows is Installed is Locked error comes up. If yes, proceed to give Method 3 a try. Step 1: From the above Method # 2, follow the exact steps as shown in Step 1 to Step 7. This will open the command prompt screen under PC repair mode. Step 2: In the CMD box, type “sfc /scannow” and press Enter. Step 3: Wait till the system checks for system files for errors and fixes them. Step 4: When done, close the Command Prompt window, then select the Turn off your PC option from the Choose an option menu. 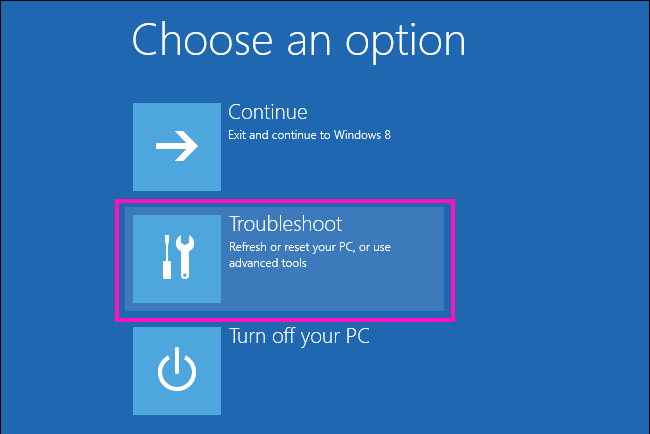 Start your computer now normally and see if this has fixed The Drive Where Windows is Installed is Locked error for Windows 10 and your PC is starting normally. If not, try the next method now. Your Hard Drive may be locked because the boot info of Windows 10 on your PC is corrupt. This results in The Drive Where Windows is Installed is Locked error. Follow these steps to see if the problem is fixed or not. In this process, we run 4 different commands, one after another. 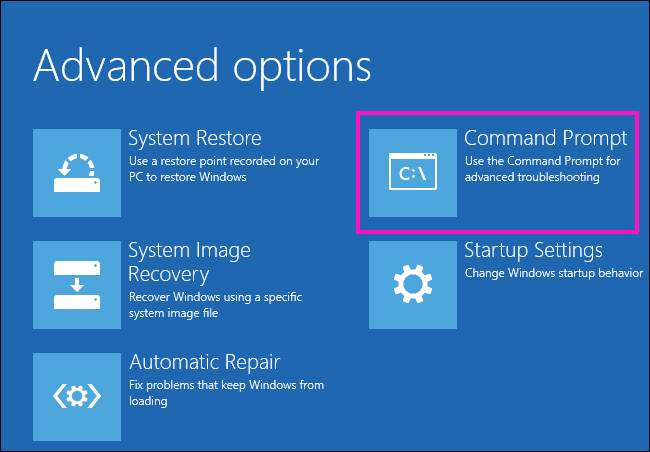 Step 1: Follow the exact steps from Step 1 to Step 7, as mentioned in Method # 2 above to open Command Prompt in Computer Repair mode. Step 2: In Command Prompt, type “bootrec /fixmbr“, then press Enter. Wait for the process to end. 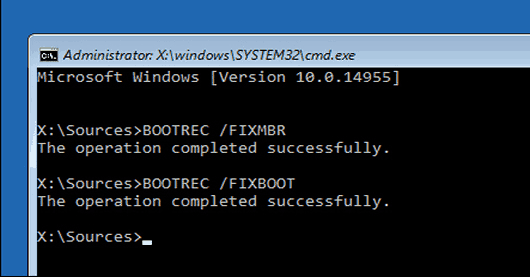 Step 3: Now, type “bootrec /fixboot” in Command Prompt and press Enter. Wait till the process ends. Step 4: Type “bootrec /scanos” in CMD, and press Enter. Let the process run. Step 5: Run this last command in CMD “bootrec /rebuildbcd” and press Enter. Step 6: When the process is over, type Exit in Command Prompt to close it. Step 7: Click on the Turn off your PC. 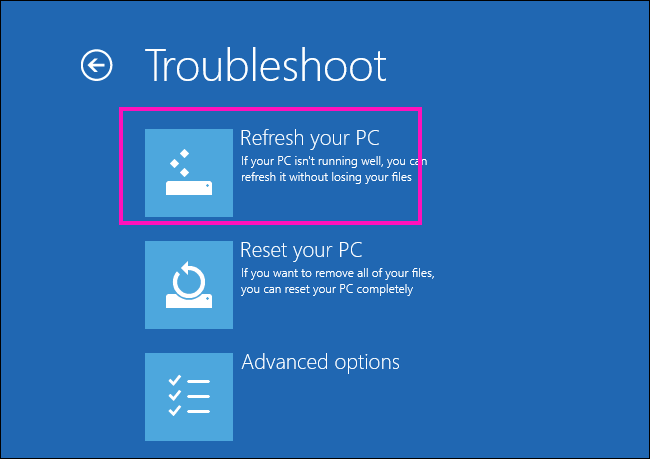 Start your PC normally now and check if it starts normally this time or again gives The Drive Where Windows is Installed is Locked error. If not, then the next method is your last resort. The last thing for you to try is to Reinstall Windows 10 on your computer to get rid of the The Drive Where Windows is Installed is Locked on Windows 10 issue. Although this method will definitely fix the locked hard drive issue, you may lose some files as well as installed programs (software). The best practice is to reinstall Windows in the same drive in which Windows was originally installed, which is usually the C Drive. 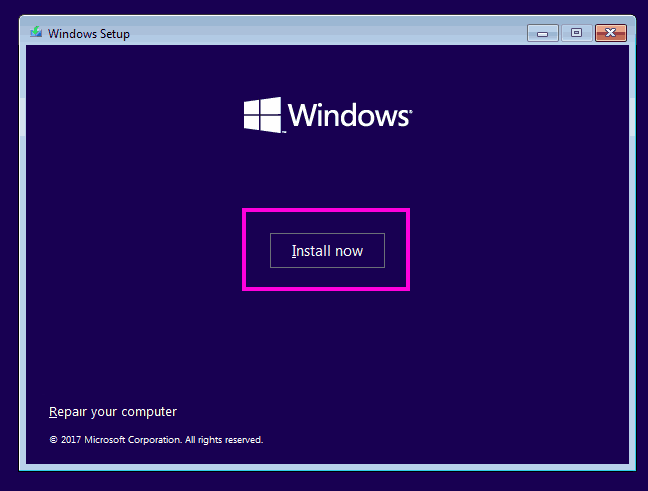 Step 1: Restart and boot from Windows 10 installer media as shown in the Important Step section at beginning of the article. 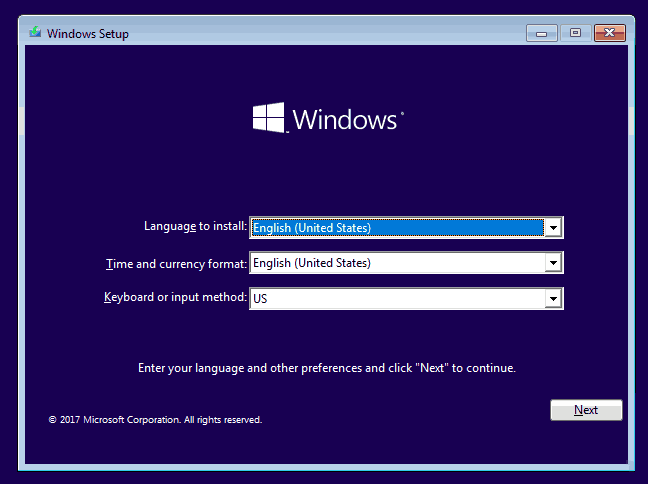 Step 2: Fill out the language, time, and currency fields on the first screen of the Windows setup window. Step 3: From the next screen that appears, click on the Install button. 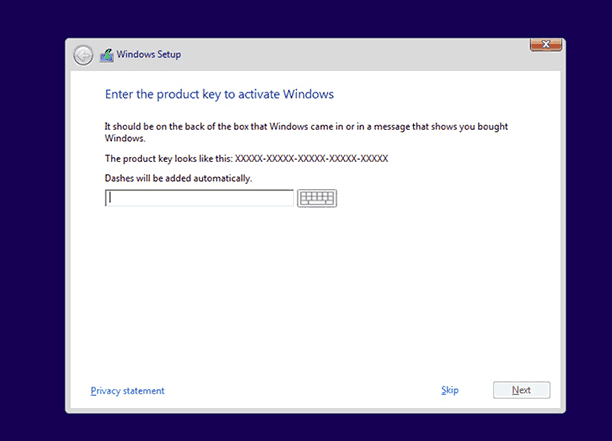 Step 4: Enter Windows 10 product key or skip to add later. Step 5: Read and Accept all the license terms. 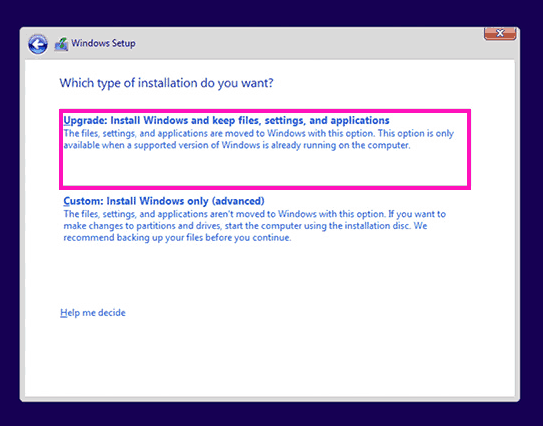 Step 6: From the next window which asks you “Which type of installation do you want?”, select the first option; that is, Upgrade: Install Windows and keep files, settings, and applications. 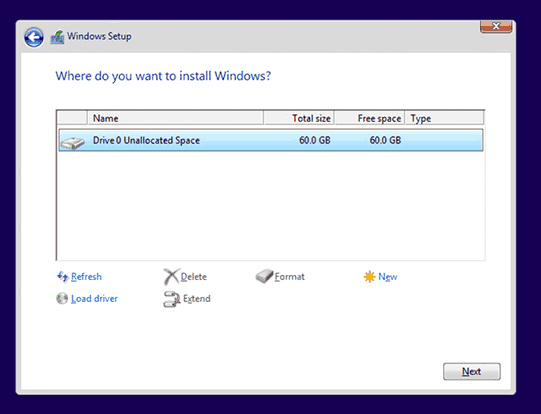 You can also opt for Custom option, but then, you will have to choose a partition drive for installation. Also, this will wipe out all the files available in the drive you select for custom installation. 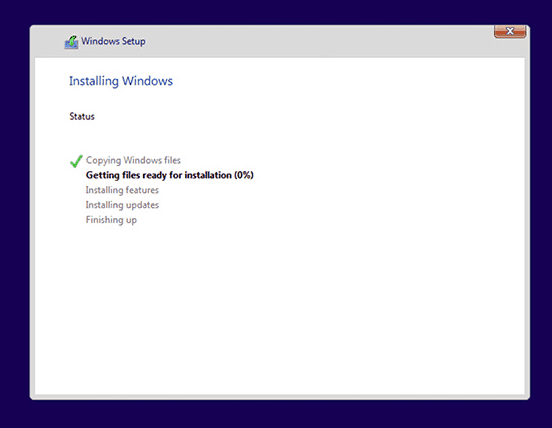 Step 7: Wait for Windows to reinstall on your PC. Step 8: After installation, follow the on-screen instructions to setup Windows 10 according to your choice. these methods will definitely help you fix The Drive Where Windows is Installed is Locked error for Windows 10 and your PC won’t show that error anymore. You may think that you need to be a pro to carry out these methods, but these are really easy to carry out. So, do not skip any of these and give try to all of the methods untill your problem is resolved.